Bing has reached a record-breaking 21% share of the search engine market. Find out what this means in relation to the current market leaders, Google. Imagine a world where we ‘Bing it’ to get the answer to a burning question rather than ‘Googling it’. 2016 could well be the year that sees this become a reality. Bing, the search engine owned by Microsoft, is rapidly gaining ground on Google, who have been the dominant search engine giant for more than a decade. Bing hasn’t always been a success story. In recent history, the Microsoft search engine was costing the company roughly $1 billion per quarter. There were calls by many to ditch the search engine market altogether. However, Microsoft’s CEO Satya Nadella saw something in Bing that others did not and committed to investing in the service. His instinct has paid off and Bing is now making a profit of approximately $1 billion per quarter. It is likely that the increase in profitability has come from the mass release and rollout of Windows 10 and Surface devices, both of which use Bing as their default search engine. Similarly the Windows 10 Mobile and Windows Phone operating systems are also pre-installed to have search results powered by Bing. The search engine market share statistics speak for themselves. Bing has now reached a 21% share of the search engine market for the first time, whilst Google hangs on to a massive 64%. Google is of course still comfortably in the lead, but the speed at which Bing is increasing their grip on the market is likely to make them uneasy given that search results are Google’s core business. An honourable mention should also be given to Yahoo who are hanging on to a market share of approximately 12%. In January of this year, an enormous ten year contract begins between AOL and Microsoft, which sees AOL introduce Bing as their default search engine. AOL, which is now owned by Verizon had previously been using Google for their search results. Unfortunately, a comparable story occurred last year when Google also lost their contract with Mozilla, who chose to use Yahoo as the default engine in its browser. This was huge news at the time as it represented Google’s largest loss in search engine market share since 2009. In addition, there are rumours that Apple Safari, who currently use Google on their iPhone devices, might also be considering going with Yahoo, Bing or even their own in-house program. This would be a significant blow to Google, as reportedly more than half of mobile traffic in the USA comes from Safari, according to data collected in December 2014. If Google continues on this downward spiral at the same time that Bing are on the up, then it’s only a matter of time before the two shall meet in the middle. However, when it comes to Google, it’s safe to say that they like a challenge and aren’t scared to shake things up. However, the same question was asked last year, and the change was not as dramatic as expected. Watch this space to find out what developments the current search engine market share leader will come up with to hang onto the crown in 2016. Recently I put together an article about press release sites taking a huge hit in search rankings, presumably due to the “payday loan” algorithm which is supposed to target highly spammed keywords and sites using spammy techniques. I spoke to an employee of a press release distribution company (who both will remain nameless) and they told me that the initial punishment occurred over the keyword “garcinia cambogia”, a keyword that gets more than 800,000 searches per month according to Semrush. As I continued to write I decided to do a search for that keyword and see who the new results were. To my surprise I found a short YouTube video ranking near the bottom of page 1. 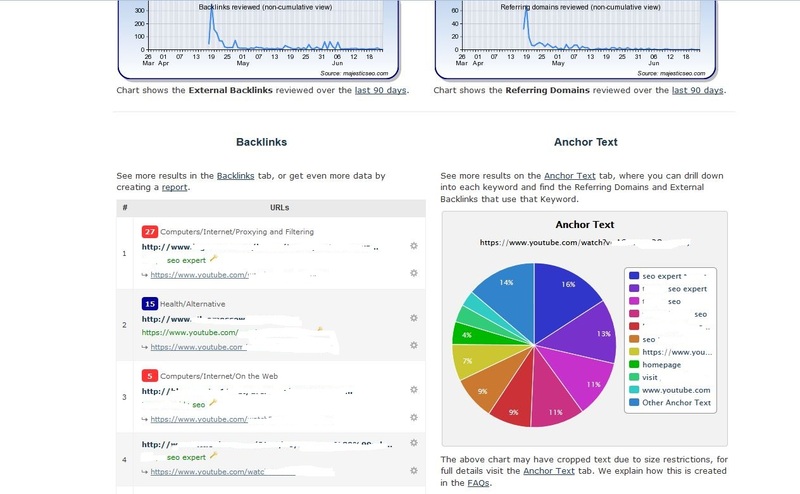 After doing some research on the video I examined its backlink profile and came to the conclusion that the site was ranking purely on the strength of pure spam. This discovery got me thinking that perhaps YouTube, a Google owned property might be “protected” from such actions. After all the more traffic their videos receive, the more revenue they can generate through ads. I decided to check out some other keywords to see if my theory held true in another niche. After some consideration I decided to focus on a local seo keyword, such as “city name seo”. I wanted a term that would have value and a term that would have some good search volume. The keyword I settled on has roughly 500 searches per month for its city name “seo” and could potentially generate a few hundred more visits by ranking for other variations of this same keyword. Lo and behold I was able to find a YouTube video ranking in the 6th position for this keyword. Well, if it is ranking in the top 10 and Google is attacking spammy backlinks, then this must be a squeaky clean white hat video correct? The video has 65 views yet it has 1700 backlinks from almost 300 domains. How does that happen? How can only 65 people viewed the video yet 1700 links been created for said video? Perhaps the links are quality, so let’s take a peek! After checking the backlink profile on Majectic SEO most of the links are coming via blog comments. Wait a minute, blog comments can be white hat right? Of course they can but when the anchor text is either exact match or some variation of the main keyword then it screams spam. Don’t take my word for it, take a look yourself! Notice that this page has been spammed to death and has some unsavory keywords on the same page as the “seo” keyword. I have marked out most information since I just want to point out the facts but do not want to “out” the video in question. I think it is pretty clear that the site is simply using YouTube as a “host” to spam and rank. In light of how Google has handled some news sites and the press release distribution sites I find it rather interesting that they are punishing these domains in the name of “search quality” yet their very own property can be used to rank for some of these keywords using the shadiest of tactics with no ill effects?